Clean the Air in Your Entire Home. Advanced, easy-to-use technology. Three-stage filtration includes exclusive electrostatic postfilter that improves filtration with minimal resistance to airflow. 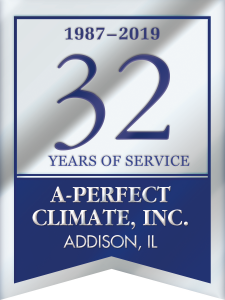 High-Quality Air for Your Home. Ninety-nine percent of particles in the air are invisible to the naked eye. Standard one-inch air filters trap less than 1% of those invisible particles, allowing them to re-circulate in your home. 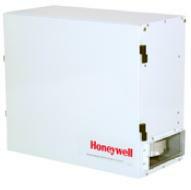 For the ultimate in clean air, count on the Honeywell Whole-House HEPA Air Cleaner. It captures 99.97% of pollutants from the air that passes through it, including cat dander, certain bacteria, pollens and more. 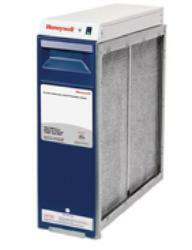 HEPA stands for High-Efficiency Particle Arresting, which is the standard that achieves 99.9% air filtration. The Honeywell Whole-House HEPA Air Cleaner provides powerful, 3-stage filtration to deliver the cleanest air possible throughout your home. Three filter system. Activated carbon, pre-filter, HEPA filter. Easy to maintain. Free AIRWATCH™ Indicator reminds you when to change filters.